The selection of the psalms for each Day of Treasury of Daily Prayer was headed up by Todd Peperkorn. The Psalmody, consisting of generally 4–10 verses of a selected psalm, is the only component to precede the readings. Editorially and structurally, the psalmody serves the Day as the Introit and Collect serve in the Service of the Word. With the appointed Scripture readings firmly in mind, Rev. Peperkorn and his team selected the verses for the psalmody in such a way as to prepare the reader for the Word that follows. Each Day also features a suggestion for further reading in the Psalms that coordinates with or furthers some aspect of the appointed readings from the Daily Lectionary. While Lutheran Service Book includes more psalms than either Lutheran Worship or the Lutheran Hymnal before it, a substantial number of the psalms do not appear in the LSB Pew Edition. Editorial direction was that the psalmody and suggested psalm reading for the Day should endeavor to use as much of the Psalter as possible, with the 44 Psalms that do not appear in LSB Pew Edition assessed and given first placement, then as much of the remain Psalter as possible. In this way, those psalms that are not part of regular use in the Sunday lectionary become part of daily prayer. 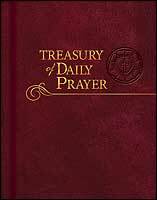 In addition to the daily Psalmody, the Treasury includes the complete Psalter. Each psalm is pointed for those who choose to chant the texts. Two schedules allow for the complete Psalter to be read over the course of thirty days (using the schedule codified in the Standard Book of Common Prayer), or over the course of two weeks as part of a full schedule of the Daily Office. 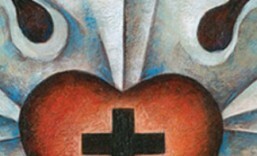 This entry was posted in Post, Treasury of Daily Prayer and tagged Christian life, prayer, Psalms. Bookmark the permalink.